It’s the stuff of HR urban legends. That unique professional capable of the intelligence and insight to drive market behavior in real-time. One that can influence the here and now, while setting trends and laying the foundation for best practices that become industry standard. The rumors of these incredible individuals have reached epic proportions to the point where many doubt the existence of such visionaries. But we’re here to tell you they exist. The CMO unicorn is real. Once thought to be a dime a dozen by the misunderstood, the Chief Marketing Officers (CMO) and C-level marketing executives find themselves in high demand. So high in fact, that they’ve become elusive creatures that are hunted by human resources departments but rarely ever found by an individual organization looking for that trophy hire. 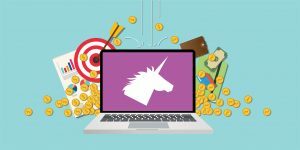 While companies find solace in headhunters and recruiters, the unique qualifications required of a Marketing Officer has general staffing agencies ill-equipped to recognize the true unicorn. What’s needed is an executive search firm with the connections that can only be made through former colleagues, professional alliances, and referrals. Fortunately, networking has given rise to a new brand of executive recruiting that makes this possible. One that is industry specific and comprised of those who were once in high demand as well. This new breed of recruiter knows what it takes to yield a response from colleagues and is highly effective at connecting companies with otherwise impossible hires – i.e. 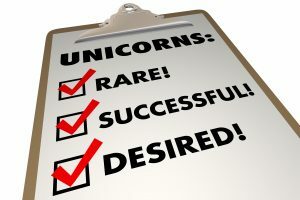 hiring CMOs aka the unicorns. 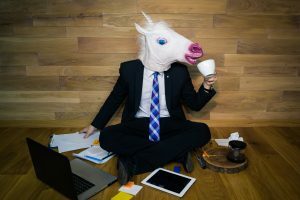 To fully grasp why the CMO unicorn has become so fabled and difficult for businesses to engage on their own, we need to recognize the challenges facing today’s companies and the shift in perception that has made them so invaluable. Modern marketing teams are comprised of innovators, analysts, and thought leaders. They support sales and revenue growth as well as brand ambassadorship. Directing these efforts is no easy task. It requires coordination, flexibility, and foresight. Sure, there are those with limited experience and an eagerness to prove themselves. They show up frequently to interviews and are quick to make the introductions. A riskier hire if you’re pressed for time and willing to take the chance. And then there are those who’ve been successful and know what it takes. The unicorn. The sought-after. The ideal Chief Marketing Officer. But where are they? Somewhere between boardroom reporting and social media outreach, CMOs and marketing VPs have gone underground. Concealing themselves in consulting positions and their own outsourcing companies, many experienced marketing executives have forsaken the 80 hour work week and high pressure demands that increase with each new medium. They’ve found a comfortable existence and a work-life balance that allows them to select individual projects in which to achieve success while maintaining their income without the weight the c-suite breathing down their backs. Good luck competing with that when hiring CMOs. It comes down to this – the companies trying to hire the CMO unicorns who can do it all – are in fact, the ones who’ve driven them to obscurity. The ideal marketing executive isn’t going to show themselves with every open position you advertise. Identifying these elusive candidates, obtaining their full attention, and acquiring their expertise requires the assistance of those within their own circle. The MarketSearch team taps into a closed-loop network of industry powerhouses. Our recruiters, former marketing executives, have direct access to experienced pros in every aspect of marketing and advertising. We are instrumental in connecting companies with the unicorn hire. MarketSearch executive recruiting has earned a reputation for advantageous opportunities that pique the interest of marketing management. In addition to an exclusive pool of talent, we help you secure management personnel through compensation analysis and negotiations. MarketSearch represents the innovative and highly specialized networking strategies that drive today’s executive hires. We form beneficial partnerships that result in lasting employment. Contact us to learn why more agencies and companies seeking advertising and marketing professionals choose MarketSearch for hiring CMOs. Call us directly at 617.971.0300 to discuss developing your management team with that one individual that can help evolve your company.